It's the amphitheater for gladiators in the town of Bad Deutsch- Altenburg. Here were taken place military parades and training/- fights. The scientists discovered scratch drawings on the wall stones, which describing the old days once upon a time. These are only the fundaments of two arenas. 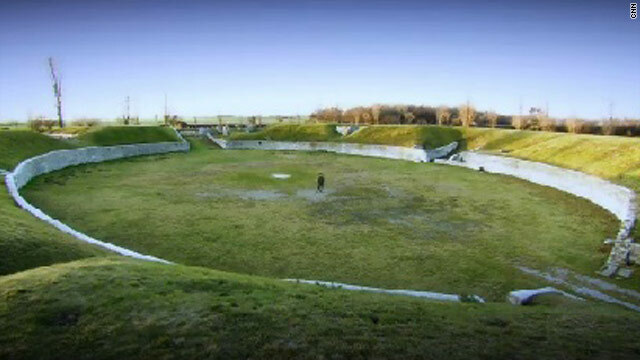 The first is the training and the other is the represantive arena for spectators, which is discovered by ground-penetrating radar by ZAMG of Austria. I hope my grammar tunes. olympic arena in ancient athens greece? So here it October 5 just minutes bfoere midnight and once again it seems that either Twitter or someone else is shutting down or censoring the #occupywallstreet. What do you make of this and how can it be stopped? What are the alternatives?